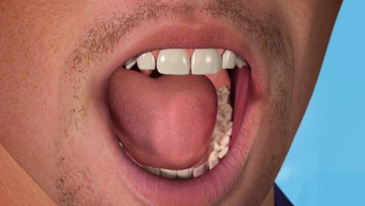 Unlike amalgam fillings, white fillings stick to the teeth with the use of special adhesives. 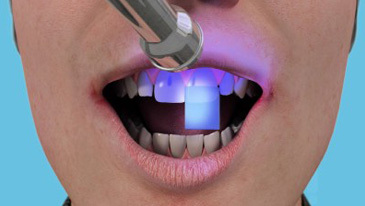 White fillings are the same colour as teeth and come in a range of shades. The filling can be matched to the colour of your teeth, so achieving an excellent cosmetic result. 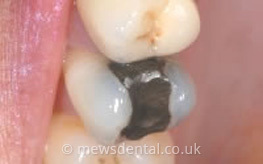 White fillings are sticky so they can be used to reshape and rebuild broken or worn teeth. 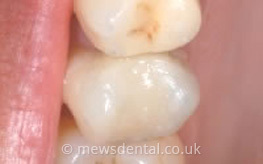 If the filling is large and there is a heavy bite, then a white filling may not be strong enough and the placement of a crown may be the best long term option. 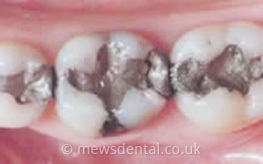 The placement of white fillings requires a more time consuming technique and therefore they are more expensive than silver fillings. The white filling materials used need very dry conditions in order to be successful. On occasions this may not be possible, especially at the back of the mouth.In such situations alternative materials will need to be used. Composite bonding is an increasingly popular cosmetic dental treatment that is used to improve the shape, colour and overall appearance of patients' teeth. It uses the same resin material used for white fillings, and is most frequently used on the front teeth – those that show when you smile. 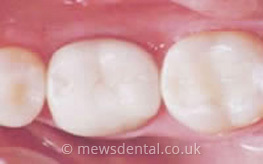 Composite bonding is a pain-free experience that requires, in most cases, just one visit to the practice. Your dentist will be able to choose a shade of resin that closely matches the colour of your teeth, meaning that the results will look entirely natural.